When Sudha was approached with this unique concept, she immediately visualized a confluence….firstly of two very different styles, etched out clearly, yet sculpting the same theme – duality! In the midst of a breathtaking stage decor, an ambience of an overflowing auditorium resounding in pin drop silence and revelling in the black and white colour themes, Sudha and Krishna were all set to soar, taking along with them the audience, in their well planned musical journey. The choice of verses and compositions, the presentation and the exchanges engaged with the idea of duality in different aspects of life. 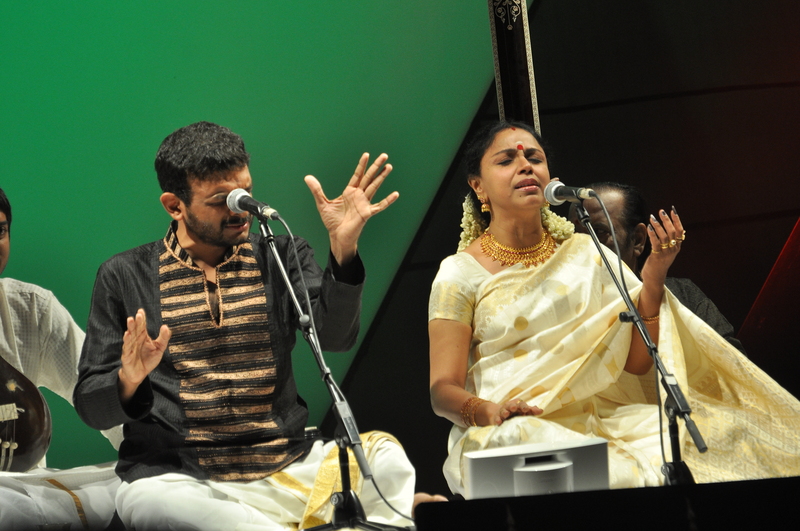 The concert of 18 March, 2011 at the Music Academy, Chennai for Global Adjustments, was a fund raiser contributing to care for retiring or retired artists in the field of the performing arts.